Eastern Europe teems with apple and pear trees and their fruit can be found in everything from soup to dessert. 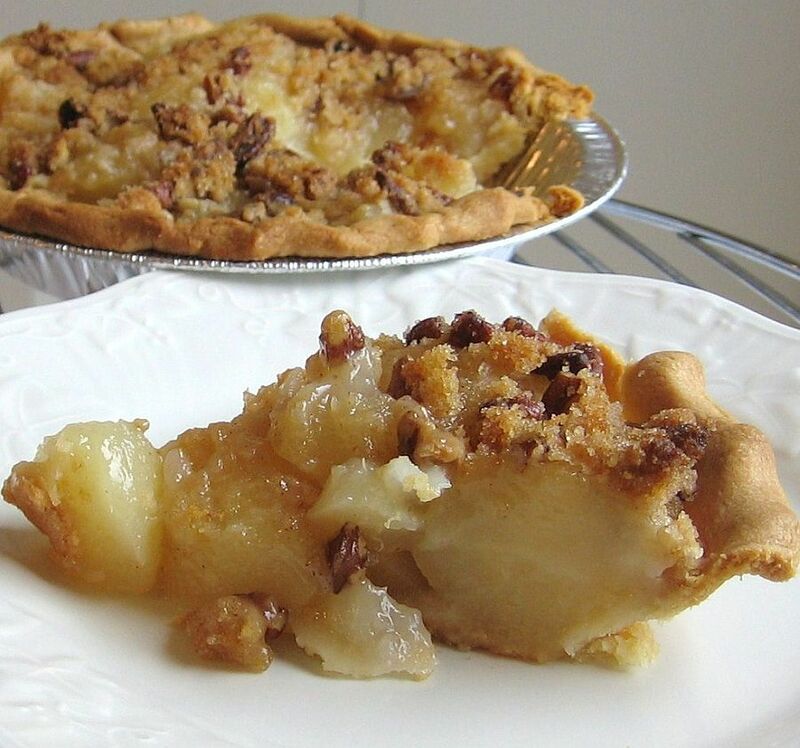 I developed this easy version of my pear streusel pie recipe when I was asked to make a dessert for a potluck luncheon. Short on time, but not on creativity, I purchased a frozen ready-made pie crust and canned pears. The result is amazing. Of course, when you have the time, you can use a from-scratch pie crust recipe and peel fresh pears, but this is so good, why bother? A further enhancement, especially for Thanksgiving or Christmas, is to add fresh, frozen or dried cranberries, especially if you like a tarter pie. In a small bowl, combine 1/4 cup all-purpose flour, 1/4 cup sugar, 1/4 cup light-brown sugar firmly packed, 1/2 teaspoon cinnamon, 2 tablespoons melted butter and 1/2 cup coarsely chopped pecans. Set aside. Heat oven to 350 F. Drain the 2 (15 1/4-ounce) cans sliced pears and reserve the liquid for another purpose. In a medium bowl, mix together sliced pears, 1/4 cup all-purpose flour and 1/2 cup sugar, tossing until fruit is coated. Turn into crust, spreading out evenly. Scatter streusel topping evenly over fruit. Place filled pie on a baking sheet to catch any drips. Bake about 40 minutes or until juices are bubbling. Remove from oven and cool slightly to serve warm or cool completely to serve at room temperature. A scoop of vanila ice cream or a squirt of whipped cream to accompany this dessert never hurts.